Corneal ulcers – or ulcerative keratitis to give its other name – can be very painful for an animal and unfortunately sometimes difficult for an owner to spot. This is a fairly common condition which can affect dogs of any breed or none and can range from the superficial, which will heal in a few days, to the more serious deeper laceration which can leave permanent effects. Because of the multi-layered structure of the cornea and the nature of the injury or cause of the condition, if an ulcer occurs on the eye’s surface the eye is at risk of infection and potential loss of vision. If you notice any of these symptoms you need to have your veterinarian examine your dog to determine what line of treatment is best for him. Your veterinarian may decide to refer your pet to an ophthalmic specialist for diagnosis and treatment. 2. Which Breeds Are Affected by Corneal Ulcers? This is not a complete list and any dog which has these physical characteristics can be prone to developing eye problems including corneal ulcers. Some dogs are particularly affected by a condition where the eyelids roll inwards irritating the surface of the eye and if left untreated this too can cause ulceration. A corneal ulcer is the result of a wound to the surface of the eye and can be the result of a trauma or accident of some description although owners often have no knowledge of how or when an injury occurred. Sometimes it can be obvious, for instance where a dog has been hit by an object or a vehicle, or has been kicked by a large animal like a horse or a cow. 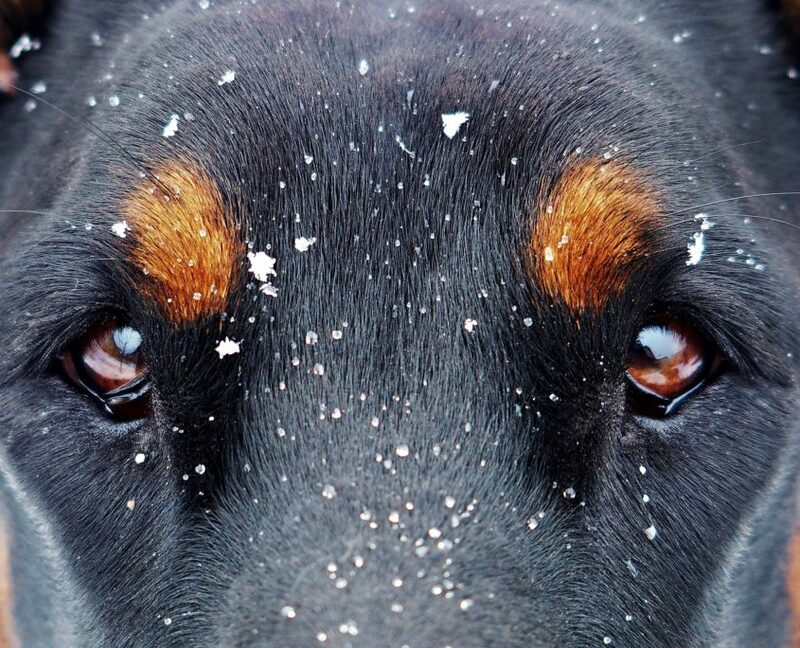 A dog that is used in hunting or tracking can easily injure an eye when pushing through dense thorny bush. Sometimes he can get an injury through playing or fighting (especially with cats) when his eye can get scratched. It is essential that you get your dog to a veterinarian as soon as possible after you notice any signs of irritation, distress or abnormal behaviour in the animal so he can be examined and started on a course of treatment. Speed is vital in preventing permanent damage such as loss of vision. Your dog will undergo a thorough examination of the eye including the cornea. This can often involve the use of a diagnostic dye to determine how deeply the layers of the cornea are ulcerated. A stain test can also diagnose and eliminate other eye conditions which can present in similar ways to corneal ulcers. Blood tests may be required to rule out any viral infections and other samples may be taken to look for fungi or bacteria. Other options can be to analyse the facial nerve function or to conduct a dry eye test. The two types of corneal ulcer are – melting ulcers and refractory ulcers. Melting ulcers are most often the result of infection which causes the stroma layer (the thickest part of the cornea) to dissolve. Refractory ulcers are a type of superficial ulcer which can take months to heal. 5. What Treatment is Available? Treatment depends on the underlying cause of the ulcer, whether through injury or a condition like dry eye. At best, your dog may need to wear a plastic collar for a week or so whilst undergoing treatment. Worst case scenario can involve surgery such as conjunctival grafts or sutures or even a corneal transplant. A very deep corneal laceration will require urgent repair and treatment. Treatment often consists of topical antibiotics, pain medication and anti-spasm medication. A melting ulcer may need drugs which inhibit the action of destructive enzymes whilst a refractory ulcer may need other medications which can be put into the eye such as chondroitin sulphate, glycosaminoglycans or aminocaproic solutions. As long as treatment is ongoing your dog will need to wear his plastic collar to prevent him from pawing at his eyes and making the condition worse. Activity may need to be restricted too, which will be tough for those dogs that are used to being out all day but it is necessary to prevent recurring damage. Unfortunately some conditions can, for a number of reasons take weeks to completely heal and if you need to regularly renew your pet’s medication it can get a little expensive. One course of action could be to get your veterinarian to write out a prescription for your pet’s medication which you can then use to purchase repeat meds at a lower price from a specialist online-based website. 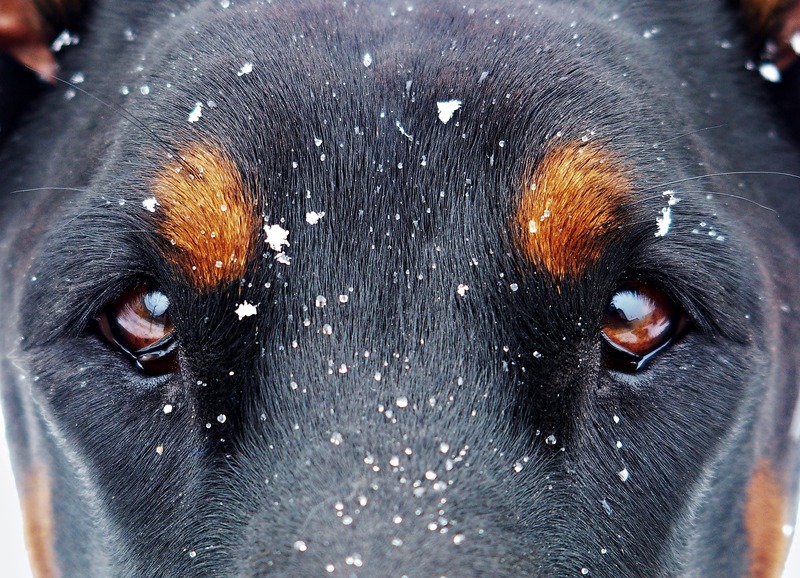 If you suspect your dog may have a corneal ulcer don’t delay in getting treatment for him.